For other uses, see January (disambiguation). January is the first month of the year in the Julian and Gregorian calendars, and one of seven Gregorian months with the length of 31 days. January begins (astrologically) with the sun in the sign of Capricorn and ends in the sign of Aquarius. Astronomically speaking, the sun begins in the constellation of Sagittarius and ends in the constellation of Capricornus. January is named for Janus (Ianuarius), the god of the doorway; the name has its beginnings in Roman mythology, where the Latin word for door (ianua) comes from - January is the door to the year. Traditionally, the original Roman calendar consisted of 10 months, totalling 304 days, winter being considered a monthless period. Around 713 BC, the semi-mythical successor of Romulus, King Numa Pompilius, is supposed to have added the months of January and February, allowing the calendar to equal a standard lunar year (355 days). The first day of the month is known as New Year's Day. Although March was originally the first month in the old Roman Calendar, January assumed that position beginning in 153 BC when the two consuls, for whom the years were named, began to be chosen on January 1. The reason for this shift of the new year into the dead of winter was to allow the new consuls to complete the elections and ceremonies upon becoming consuls, and still reach their respective consular armies by the start of the campaigning. 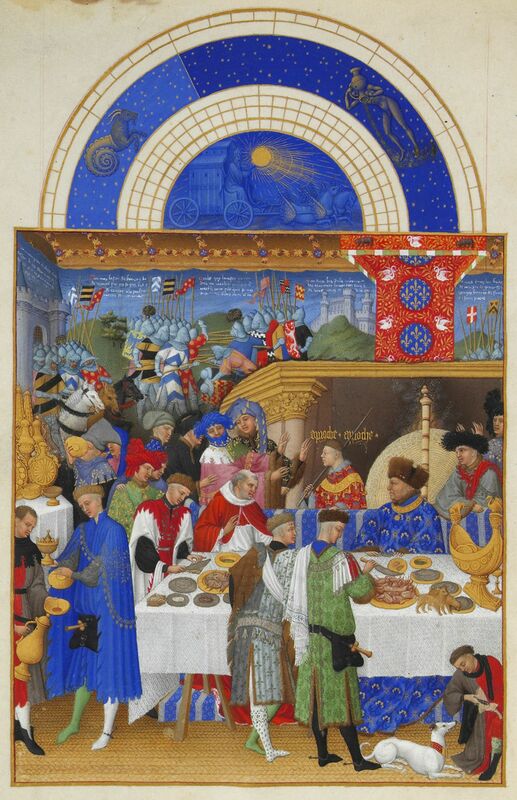 Various Christian feast dates were used for the New Year in Europe in the Middle Ages, including March 25 and December 25. However, medieval calendars were displayed in the Roman fashion of twelve columns from January to December. Beginning in the 16th century, European countries began officially making January 1 the start of the New Year once again — sometimes called Circumcision Style because this was the date of the Feast of the Circumcision, being the 8th day from December 25. Historical names for January include its original Roman designation, Ianuarius, the Saxon term Wulf-monath (meaning wolf month) and Charlemagne's designation Wintarmanoth (winter / cold month). In Finnish, the month is called tammikuu, meaning month of the oak, but the original meaning was the month of the heart of winter, as tammi has initially meant axis or core. This month is in Czech called leden, meaning ice month. The first Monday in January is known as Handsel Monday in Scotland and northern England. In England, the agricultural year began with Plough Sunday on the Sunday after Epiphany. The Coming of Age day in Japan is the second Monday of January, for those becoming 20 years old in the new calendar year. It is a national holiday. The day has been celebrated since 1948, but fell on January 15 until 1999, when it was moved by the Japanese government in an attempt to lift the economy by making more holidays consecutive. In the pagan wheel of the year, January ends at or near to Imbolc in the northern hemisphere and Lughnasadh in the southern hemisphere. It is the middle month of summer in the Southern Hemisphere and the middle of winter in the Northern. January's birth flower is the carnation or snowdrop. The Chinese floral emblem of January is the plum blossom. The Japanese floral emblem of January is the camellia. January is National Soup Month in the United States. This page uses content from the English language Wikipedia. The original content was at January. The list of authors can be seen in the page history. As with this Familypedia wiki, the content of Wikipedia is available under the Creative Commons License.